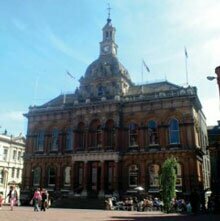 Filled with cafes, bars, restaurants, shops, museums and many other attractions, Ipswich offers something for everyone. Whether you're on business or taking a relaxing holiday, the quality and diversity of Ipswich Hotels and accommodation mean you're bound to find the one that suits your needs. Read this fantastic Guide to Ipswich to find out more about Suffolk's county town. 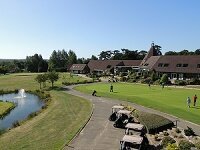 Back to the more traditional, country house type of Hotel found in Suffolk is Hintlesham Hall Hotel, a Grade 1 Listed Elizabethan Manor House set in 175 acres of countryside on the outskirts of Ipswich. This magnificent Hotel has 33 bedrooms and impressive suites of varying styles. The Hall has been awarded 4 Red Stars by the AA's Centenary Awards. Hintlesham Hall offers an enormous list of facilities - including a gym with swimming pool, health & beauty treatments and cookery courses to name but a few. Guests are also invited to use the adjacent tennis court and golf course. For a full guide to Ipswich, please see Guide to Ipswich, and for a current events listing please see What's On In Ipswich. 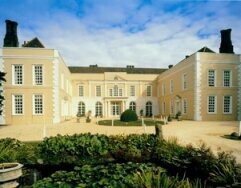 Finally, if you are planning an Ipswich wedding please see Ipswich Weddings, Receptions and Honeymoons. What do you love about Ipswich? Send us a review of your favourite things to suffolkguides.admin@suffolktouristguide.com.